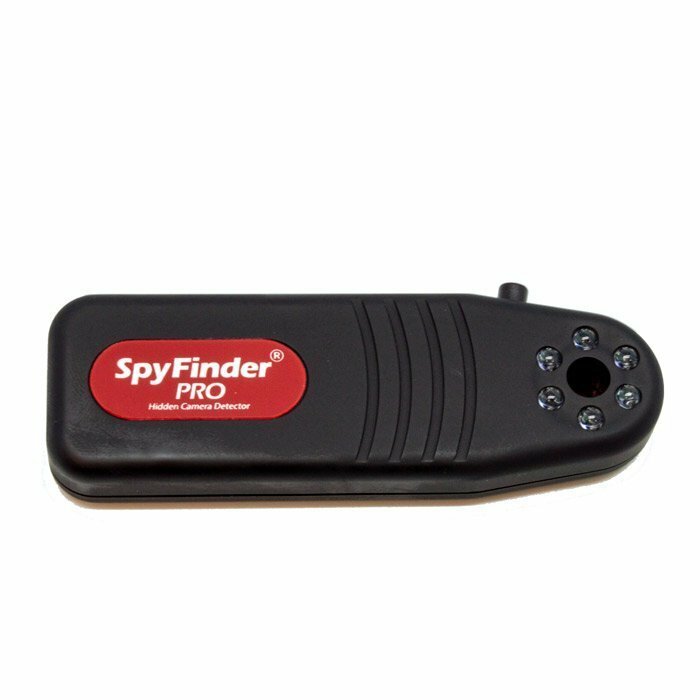 The SpyFinder Pro is a lightweight battery powered device that allows you to quickly identify and locate a camera by using an array of ultra-bright LED's. When the camera is found it is highlighted to the user, where it appears as a flickering bright spot of light. 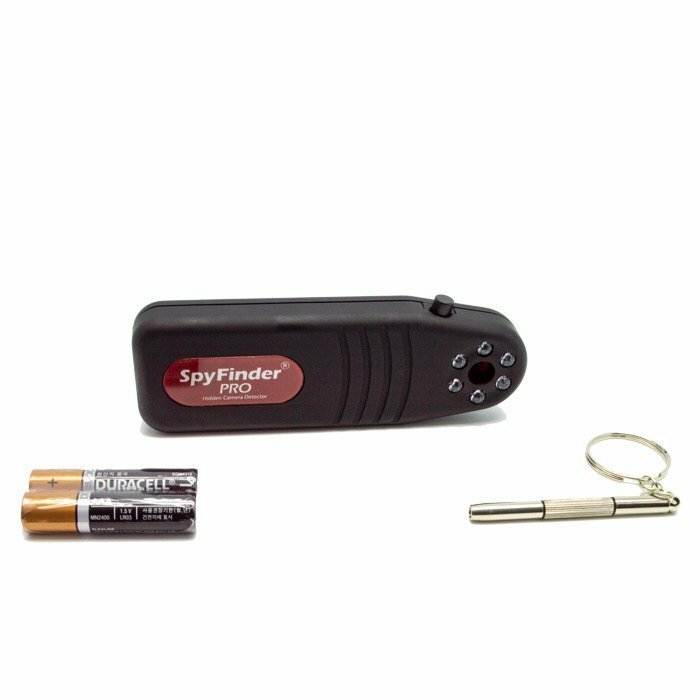 The SpyFinder will find any hidden camera transmitting or not. 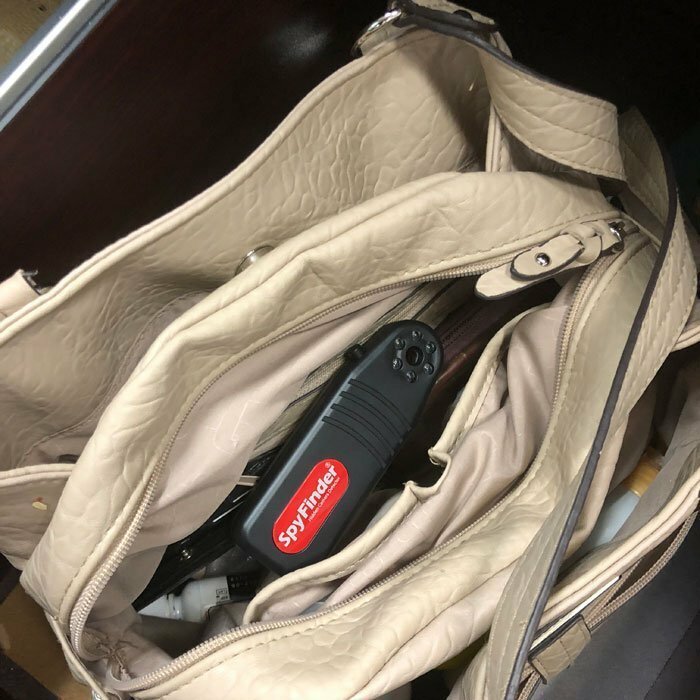 It’s so small you can carry it in your purse, suitcase or briefcase to have it with you at all time. 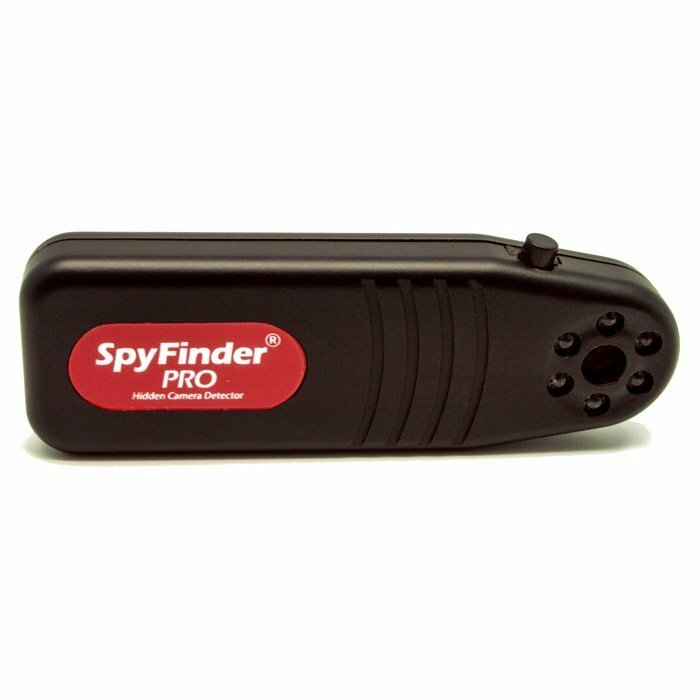 The SpyFinder Pro is simple to use yet extremely effective for finding hidden cameras. Are you concerned about privacy when renting a hotel room, AirBnB or apartment? There are many stories in the news today sighting just these types of privacy intrusions. Other types of intrusions are in dressing rooms, tanning beds and public toilets. 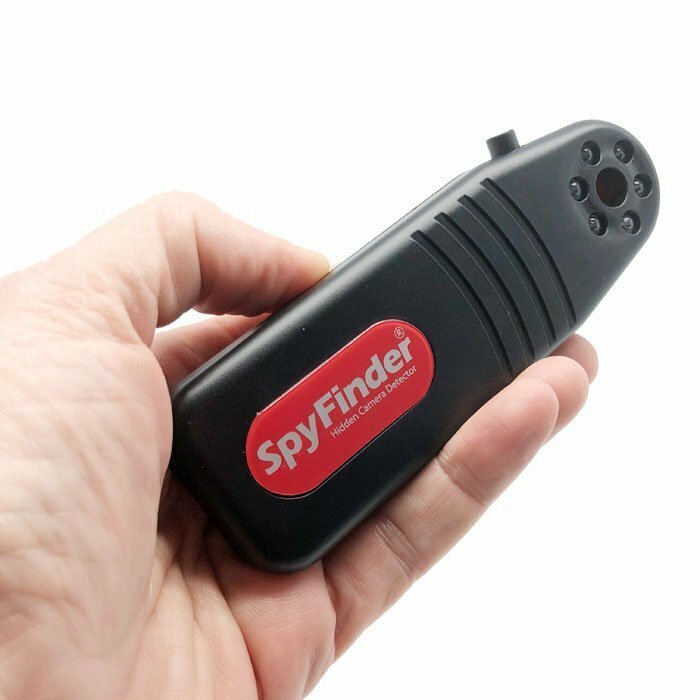 The SpyFinder Pro is easy to use, no complicated bar graphs to read, no need for the device to be transmitting to find hidden cameras. 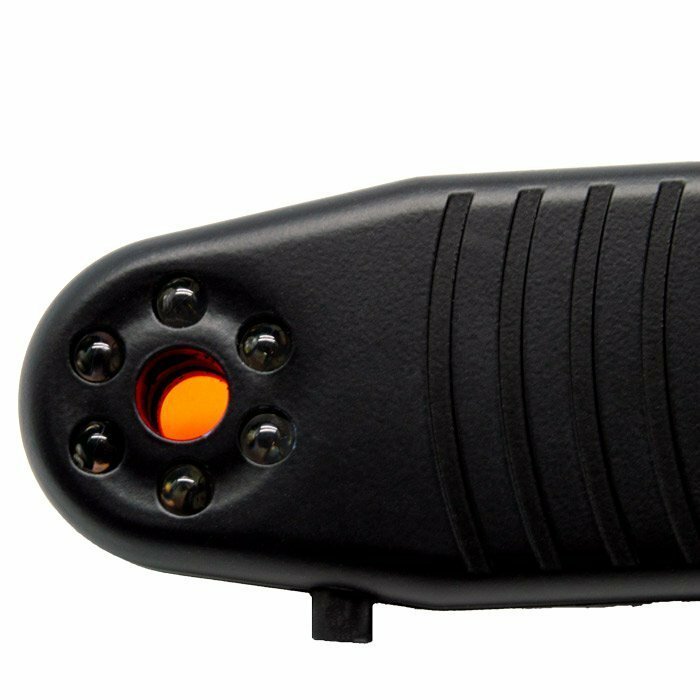 To operate the SpyFinder Pro you activate the array of ultra-bright LED’s by pushing the button one time. Point the light towards the area of the room where a hidden camera is suspected, look through the view finder and slowly scan the room to look for cameras. 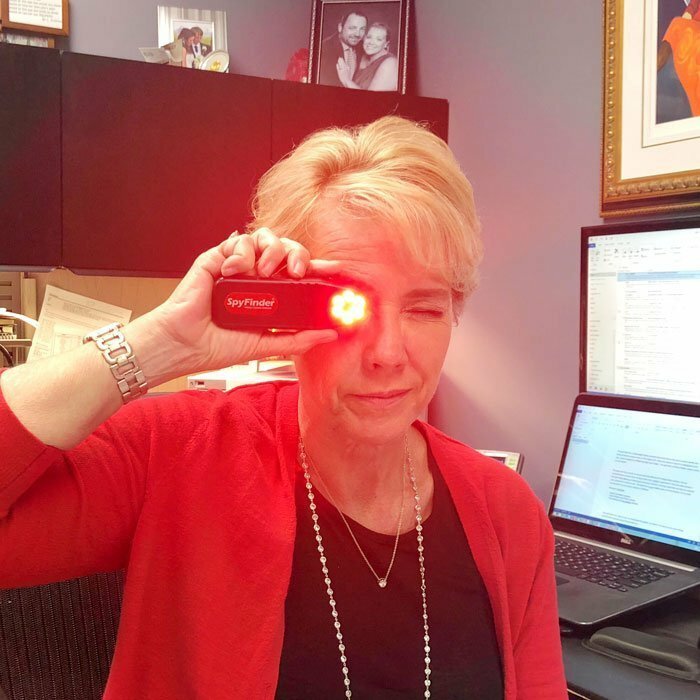 The lens of the hidden camera will appear as a bright point of blinking light when you illuminate it with the light beam and view it through the SpyFinder view finder. 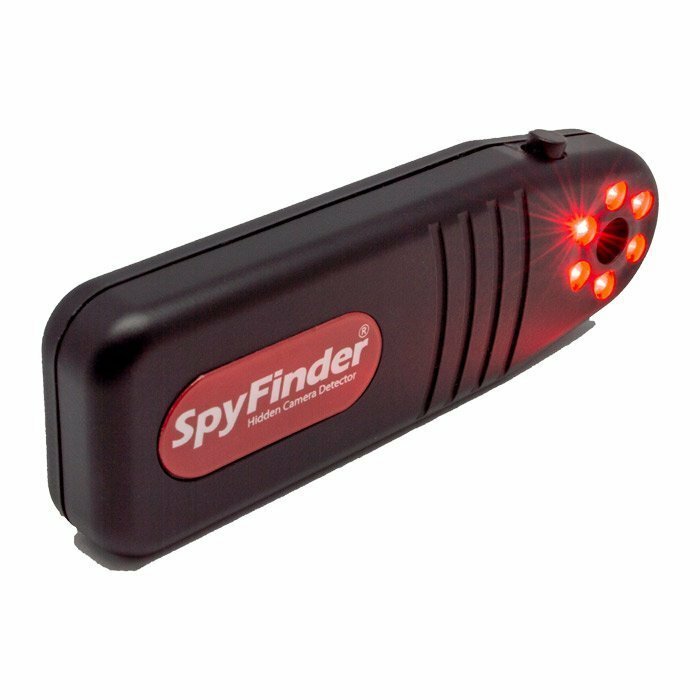 Owning a SpyFinder can help you reduced your concerns for a very low price. 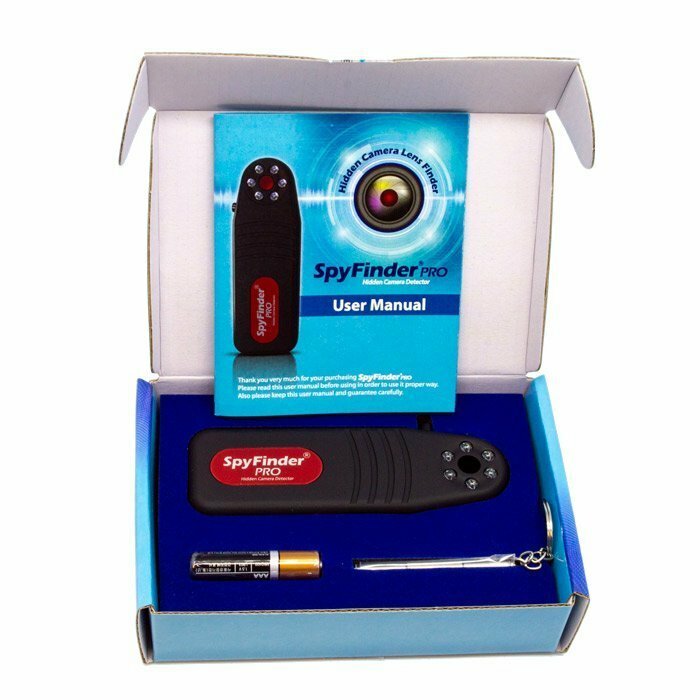 The SpyFinder is an excellent peace of mind solution by allowing you to make sure that you are not being watched.